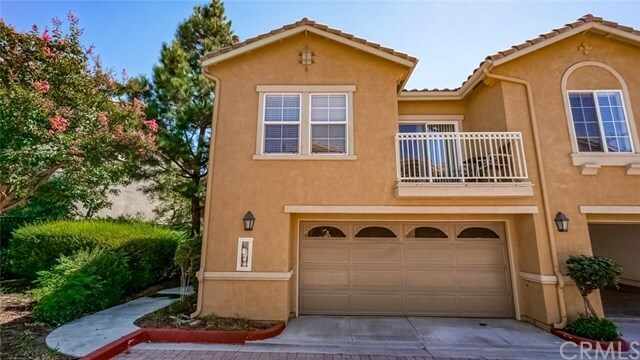 Experience resort living in beautiful Rancho Cucamonga. Tucked away from it all is a turn-key home at an affordable price! This single-owner home features two spacious bedrooms with a 2 full bathrooms all on the main floor and an attached two car garage. Upon entering the home you are greeted with beautiful hardwood floors throughout and tall ceilings. The kitchen features tile floors, white tile counter tops, and under-cabinet lighting. Complete with the 2 second floor balconyâs, which is perfect for entertaining! Within walking distance from shopping, multiple parks, and Terra Vista Elementary. Quick access to the 10, 210, 15, and 60 freeways.